Will Jerry Brown Sign A Sanctuary Bill That Law Enforcement Opposes? This report was co-published with Capital & Main. The bill, authored by Senate President Pro Tem Kevin de León, is the farthest reaching of a raft of immigration bills making their way through the legislature this year. De León rejects the sanctuary description, but says his goal is to shield otherwise law-abiding residents from deportation and to enhance public safety by assuring immigrants that they can freely report crime or testify in court without fear. 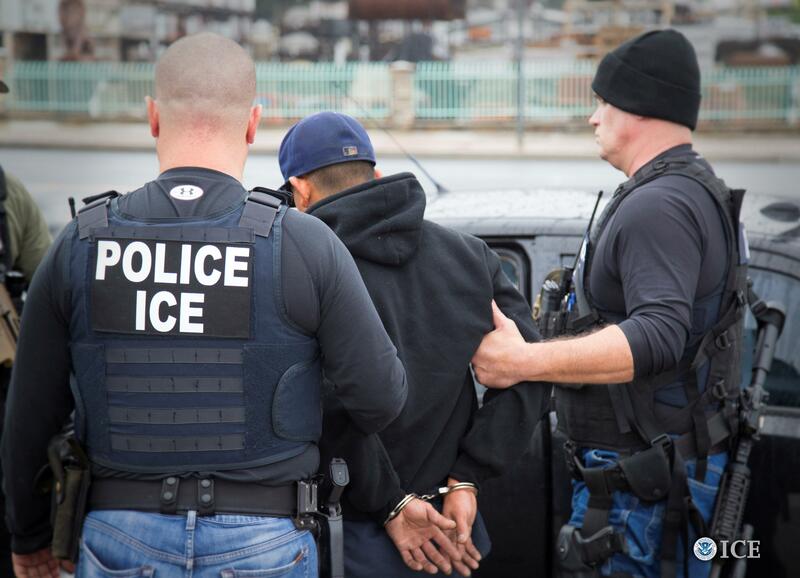 The bill can’t keep agents from Immigration and Customs Enforcement (ICE) out of the state, but does prohibit local police and sheriffs departments from using their resources and personnel to fuel federal deportation efforts. “ Is this one [minor] conviction something that we think should result in deportation and do we want local law enforcement officials to be facilitating that?” MacLean asked. MacLean argued SB 54 would have prevented Avelica's ordeal: ICE wouldn’t have been allowed to interview people in law enforcement custody, and only those who had committed the most serious and violent felonies could be transferred from local jails to ICE for deportation without a warrant. Furthermore, California's state attorney general would be required to design plans to limit assistance with immigration enforcement at facilities where ICE agents have recently arrested undocumented immigrants, such as courthouses or state labor commission offices, where ICE agents have sought to attend hearings or collect information, as well as at schools, libraries and health centers. As of Tuesday, the half-dozen Assembly members targeted by the Dream Alliance remained on the fence. The morning after being singled out by the newspaper ads, Tim Grayson released a statement saying he agreed with the bill’s intent: “I wholeheartedly support the principles of the legislation,” said Grayson’s statement, although he made no firm commitment to vote for SB 54's passage. Similarly, staffers for Muratsuchi and Cervantes said the lawmakers were undecided on the measure, while three other Democrats who were targeted, Irwin, Salas and Cooley, could not be reached for comment.